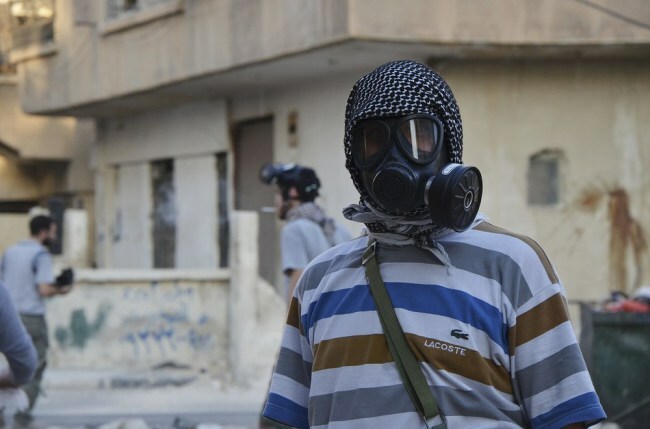 Syria, August 26: Will UN Inspectors Reach Sites of Chemical Weapons Attacks? In a Sunday of fast, sometimes frantic politics, the Assad regime finally agreed to let United Nations inspectors — sitting in Damascus hotels for more than a week — visit sites of Wednesday’s chemical weapons attacks that killed more than 1,360 people. The scope of the visits remains far from clear. Neither the statements of the Syrian Foreign Ministry or the UN indicated which sites would be seen, the methods of the inspections, and which evidence would be collected. It was also not set out how security for the visits was now assured, given that the areas hit are war zones. However, for the moment, the regime’s agreement appears to have staved off any US military response, even though Washington and its allies dismissed the consent as too late and expressed concern whether there would be reliable, significant evidence five days after the assaults near the capital. Meanwhile, diplomatic posturing on Sunday not only took in last week’s attacks but also looked to the future. The statements of the US, Britain, and France tried to establish blame on President Assad for the mass killing and constituted a warning to the regime that an approach to any similar action would bring serious, immediate consquences. In contrast, Iran declared that it would not accept — and would respond to — any US crossing of a “red line”, and Russia manoevred away from its earlier blame of insurgents for the attacks to a call for temperance and objective consideration of the situation. The Guardian reports that warplanes and military transporters have started to arrive at the RAF Akrotiri airbase on Cyprus. Footage posted on Monday claims to show Islamist faction Harakat Ahrar As-Sham using Grad rockets to target regime tanks in Khanasir, Aleppo Province. Insurgents claimed on Monday to have taken full control of the town, which cuts off Assad’s supplies to Aleppo. Russian State news agency ITAR-TASS is leading with comments by US Secretary of State John Kerry — but ignores completely Kerry’s remarks that chemical weapons use was “undeniable”. Instead, the news agency headlines with “Syrian Government Made Decision To Allow UN Inspectors Too Late”. ITAR-TASS continues this spin, with the first paragraphs of its report focussed on Kerry’s discussions with Syrian Foreign Minister Walid Moallem. The President will be making an informed decision about how to respond to this indiscriminate use of chemical weapons. There must be accountability. Kerry said that the number of victims, the symptoms of those who were killed or injured as well as firsthand accounts from humanitarian organizations in Syria strongly indicate that chemical weapons were used. United Nations inspectors were not able to visit at least six key sites connected to last Wednesday’s chemical attacks near Damascus, according to a doctor who met the group. Dr. Abu Akram, who runs a makeshift hospital in al-Moadimiyeh in West Ghouta — one of the towns attacked — told the Guardian that the arrival of the inspectors was delayed by four hours because of sniper fire on their convoy. The 12 inspectors “were supposed to stay for six hours but they stayed for an hour and a half only”, Akram said. At the field hospital, the team talked to more than 20 victims and took hair and urine and blood samples. At the site of a claimed chemical rocket strike, the inspectors took soil samples and affected animals, including a chicken. They did not take the rocket, apparently because they were not allowed. After an hour and a half, they got an order from the regime to leave ASAP. The security force told the committee if they did not leave now, they could not guarantee their security. They could not visit the main six sites [almost all in East Ghouta] where the chemical rockets had fallen and lots of people were killed. Akram said he accepted “around 2,000” victims and about “500 of them were in a critical situation”, of whom 20 are still in intensive care. Eighty people were pronounced dead. The Free Syrian Army is claiming that insurgents have taken over all of the town of Ariha in Idlib Province. (See our earlier entry explaining why Ariha is strategically important). This report says that the insurgents deliberately did not publish any news about its operations in Ariha to avoid having the regime send reinforcements. Activists are reporting that many civilians have fled Ariha in the wake of heavy regime shelling of the city after insurgents started to overrun checkpoints. This footage from Monday shows groups of displaced civilians from Ariha in a neighboring village. The internal refugees are visible by the sides of the road, sitting with piles of personal belongings that they have managed to grab before fleeing. Insurgent faction Liwaa Al Mohajireen Wa Al Anasar‎ fire on regime positions in Jobar, Damascus. The regime has so far not succeeded in taking the whole of Jobar — the site of one of Wednesday’s chemical weapons attacks. Footage of regime shelling in Muadamiyyeh As-Sham, West Ghouta, on Monday afternoon after UN inspectors left the town. The Syrian Coalition, the Supreme Military Council and the Free Syrian Army on Monday accused pro-Assad “Popular Committee” militias of firing on a car carrying UN inspectors in West Ghouta on Monday. In a statement, the Coalition said that, according to FSA officers in the area, snipers had fired at the convoy as it neared the final checkpoint between insurgent and regime controlled areas at the entrance to Muadamiyat Al Sham, on Arbaeen Road. A regime rocket strike on Monday near the Hajj Bridge in Aleppo in the Al Fardos neighborhood has left civilians trapped under rubble. Warning — Graphic Images of dead and critically wounded civilians. Activists have posted more footage of the UN weapons inspectors arriving in Muadamiyyeh As-Sham in West Ghouta, the site of one of Wednesday’s chemical weapons attacks. Claimed footage of insurgents from the FSA’s Jund Al-Haq Battalion blowing up a regime tank on the Southern Bypass near Zamalka in Damascus. The following videos are claimed live footage — filmed earlier on Monday — of members of the UN inspection team meeting with local people including those wounded in last Wednesday’s chemical weapons attacks in Muadamiyyeh As-Sham. In a press conference in Moscow on Monday, Russian Foreign Minister Sergei Lavrov said that Western threats to carry out a military strike against Syria were contrary to the agreements reached in the G8’s Lough Erne summit in June. “In the declaration of that summit, it was written in black and white that any allegations about the use of chemical weapons in Syria must be thoroughly and professionally investigated,” he said. Lavrov also repeated the line given on Wednesday by Foreign Ministry spokesman Aleksandr Lukashevich, that a shell exploded on Wednesday near Damascus that may have contained chemical substances similar to a missile that exploded in Aleppo Province in March. “There are photographs of the projectile, which was blown up [near Damascus], there is a description of the substance. This is very similar to the shell that exploded in the suburbs of Aleppo on March 19,” – Lavrov said. In a report to the UN, Moscow has asserted that the alleged March 1 9 chemical attack in Khan Al Assal, Aleppo Province, was carried out by insurgents using home-made chemical agents. A Syrian doctor at the scene reports that United Nations inspectors are at the al-Rawda Mosque in the insurgent-held area of al-Moadimiyah near Damascus: they are meeting medics and victims of Wednesday’s chemical weapons attack, taking samples from the injured. Activists posted this image of the UN inspectors’ car after the attack. Back from a break to find that the press conference of Russian Foreign Minister Sergei Lavrov is underway in Moscow — he warns that the use of force in Syria without the mandate of the United Nations Security Council would be a “blatant violation of international law”. The Foreign Minister said there was no logical reason for the Assad regime to launch such an attack. He criticising the international reaction — “hysteria is growing” — which he said is aimed only at removing Assad and “subverting” diplomacy. Lavrov accused other countries of double standards with respect to the Assad regime: “You cannot ight the regime only because you do not personally like the dictator leading it, and not fight some regimes where you like the dictator”. Vehicle of @UN #Syria #ChemicalWeapons team hit by sniper fire. Team replacing vehicle & then returning to area. In another sign that Moscow is increasingly concerned over the possibility of a U.S. strike against Syria, the Russian Foreign Ministry on Monday announced that Foreign Minister Sergei Lavrov will give an emergency press conference at 4 PM Moscow time on Monday on the events in Syria. The insurgent Revolutionary Military Council in East Ghouta issued a video statement on Sunday announcing a “cessation of hostilities” on Monday, August 26 in order to allow the UN inspection team into the area. The statement, made by Captain Abdel Al Nasser Shamer, said that the insurgents would provide the inspectors with security and all assistance needed to carry out their work. There is a lot of chatter this morning about a Sunday article in The Independent of London, “Syria: Air Attacks Loom as Britain and US Pledge to Use Force Within Two Weeks“. Only problem? In an overview of the rhetoric put out by Western politicians this weekend, there is no evidence in the article of “two weeks”, a “fortnight”, or any time-frame for operations. Indeed, there is no evidence of a “pledge to use force”. Why Is The Capture Of Ariha Important? With ongoing reports of large numbers of civilian deaths as the regime continues to bombard Ariha in Idlib Province with airstrikes and barrel bombs, we look at why the town is so important to both the regime and the insurgency. The reason for the ferocity of the regime’s attacks on Ariha, following its capture by insurgents, is because of its strategic position astride the main four-lane highway between Aleppo and Latakia. The capture of Ariha means that the insurgents can now choke off the Syrian Arab Army’s main supply line in Idlib province. Also of great significance is Ariha’s location west of the important Qarmeed Camp, or “Brick Factory” (named for the position’s pre-conflict use). Like Ariha, the Brick Factory is located at the foot of the Al Zawiya mountains in Idlib countryside, and on the main highway. 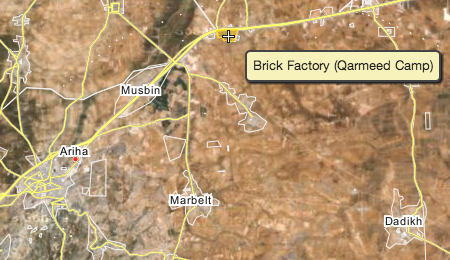 The regime has used the Brick Factory position to shell local villages. In a report last year, Amnesty International highlighted how the regime’s attacks on the region had killed large numbers of civilians. Prior to its capture by insurgents, the regime used Ariha to target insurgents attempting to take the Brick Factory with artillery fire, making it very difficult for the insurgents to advance. With Ariha captured — assuming they can hold on to it — the insurgents can now start to make advances on other key regime positions in Idlib Province. The Assad regime has continued with airstrikes and artillery shelling on Ariha in Idlib province, after the town was captured by insurgents. There are reports of civilians deaths though the exact casualty toll remains unclear. The claim is that at least 45 people have died in the attacks, with some activists putting out higher estimate. Activists say that Assad’s forces dropped TNT-filled barrels on the town and that the casualty rate was high because of a lack of trained medical personnel in Ariha. In addition, many people are reported to be still trapped under rubble. Civilians in Ariha do not have the machinery to help dig out survivors, so activists say that the death toll is likely to grow. Many families have fled Ariha to nearby villages. Photographs showing the aftermath of the strikes. President Assad has used an interview with the Russian newspaper Izvestia to warn Washington against any attack, “The United States faces failure, just like in all the previous wars they waged, starting with Vietnam and up to our days. The interview is in Russian and has not yet been translated to English by Izvestia. Syrian State news agency SANA posts an English translation, but it appears to be a re-working for the interview. For example, it has Assad declaring, “The majority of those we are fighting are Takfiris, who adopt the al-Qaeda doctrine” — a phrase which does not appear in Izvestia’s Russian transcript. The Local Coordination Committees claim 80 people were killed on Monday, including 27 in Idlib Province and 19 in Damascus and its suburbs. The Violations Documentation Center put the number of dead at 71,223 since the conflict began in March 2011, an increase of 293 from Sunday. Of the dead, 53,804 are civilians, a rise of 193 from yesterday.